Is Crossroads considered a Christian organization? 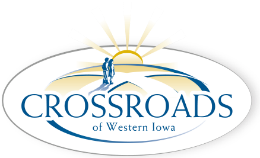 Crossroads of Western Iowa provides services to individuals with intellectual or developmental disabilities, serious mental illness and brain injury. Founded in 1975 in Onawa, Iowa, Crossroads serves this population by providing residential, employment and day habilitation services for adults in Western Iowa. We are always looking for strong leadership and people in the communities where we serve who care with passion for individuals with intellectual disabilities, serious mental illness and brain injury. We look for people who can help with fund raising events, create activities for the consumers, and help on an "as needed" basis. We have a responsibility to our community and our donors and work hard to ensure long-term sustainability of the organization. We make our IRS Form 990 available for review, as required by law. 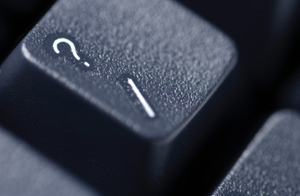 The donor is open to designate which program they would like to have their gift applied to, and can restrict their gift for a particular project, if they choose. Founded in 1975 in Onawa, Iowa, there were 8 families that came together to form what was then called Monona Services. This humble start was supported largely by Christian families and their Churches. Today, we respect those initial gifts and hold strong to our Christian values. However, Crossroads of Western Iowa and the CWI Foundation are not affiliated with a specific faith or denomination, and we are not accountable to any one faith practice. Many of our Consumers enjoy attending worship services and we support that completely, by providing transportation and attending with them, when possible.